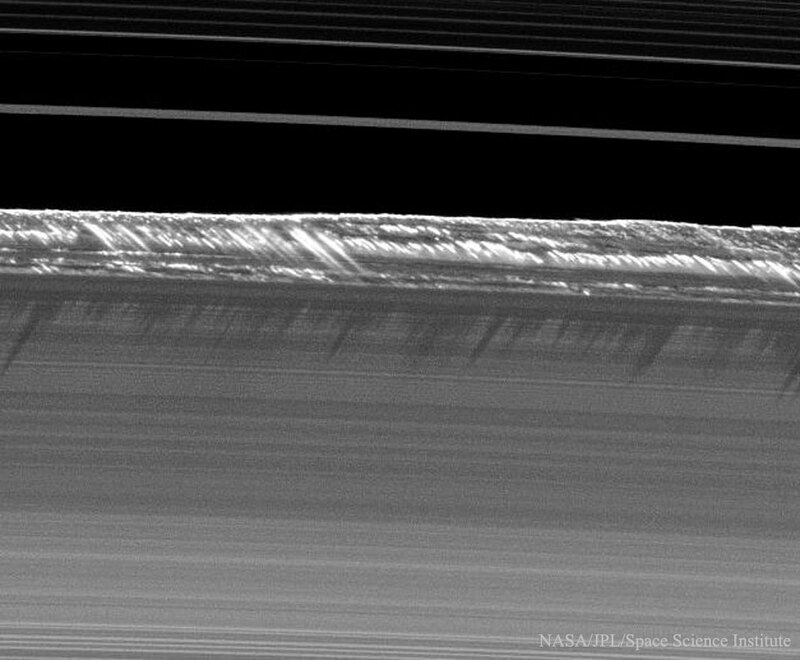 Explanation: What created these unusually long shadows on Saturn's rings? The dark shadows -- visible near the middle of the image -- extend opposite the Sun and, given their length, stem from objects having heights up to a few kilometers. 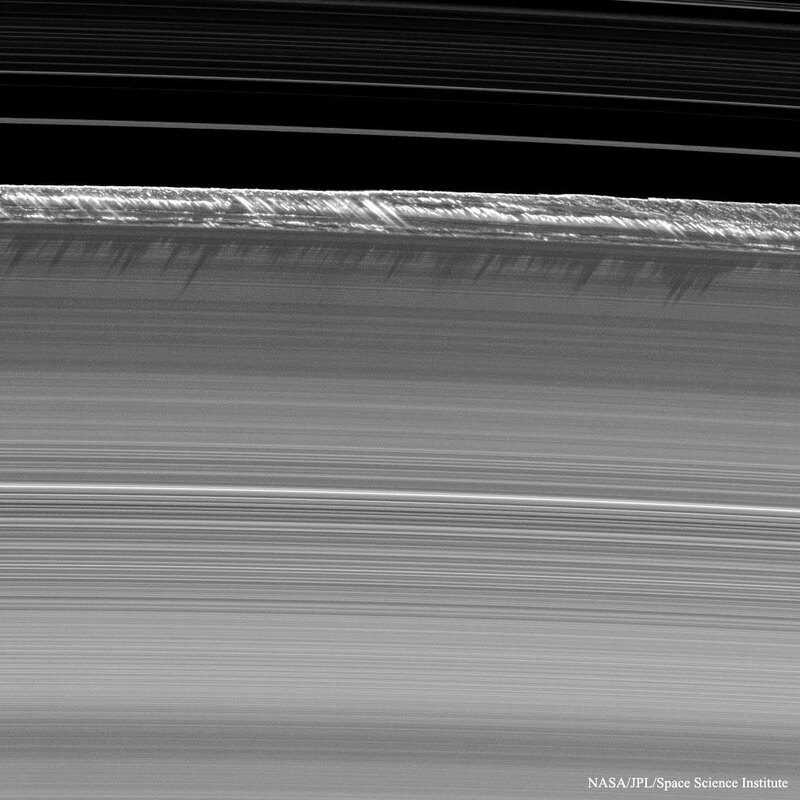 The long shadows were unexpected given that the usual thickness of Saturn's A and B rings is only about 10 meters. After considering the choppy but elongated shapes apparent near the B-ring edge, however, a leading theory has emerged that some kilometer-sized moonlets exist there that have enough gravity to create even larger vertical deflections of nearby small ring particles. The resulting ring waves are called propellers, named for how they appear individually. It is these coherent groups of smaller ring particles that are hypothesized to be casting the long shadows. The featured image was taken by the robotic Cassini spacecraft currently orbiting Saturn. The image was captured in 2009, near Saturn's equinox, when sunlight streamed directly over the ring plane and caused the longest shadows to be cast.